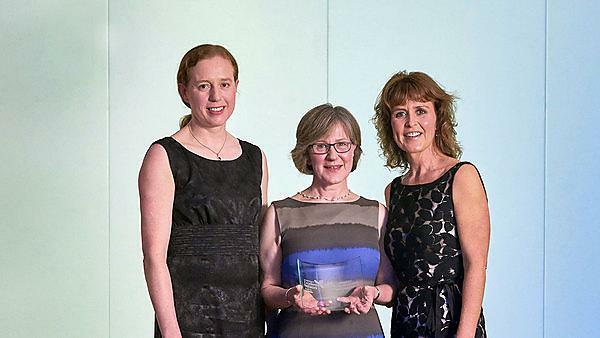 The Neurology Parkinson’s Service at Plymouth Hospitals NHS Trust, with input from Plymouth University Peninsula Schools of Medicine and Dentistry, are winners at the first UK Parkinson’s Excellence Network Awards. The awards are the first of their kind and recognise and celebrate the outstanding services that make a difference to people in the UK affected by Parkinson’s. The Plymouth Neurology Parkinson’s Service works hard to address patient-identified priorities by embedding patient-led Peninsula Parkinson’s Excellence Network projects within the service. This includes improving the quality of care received by people with Parkinson’s when they are admitted to hospital, and supporting people who are newly diagnosed with Parkinson’s via our nurse-led new diagnosis pathway. These awards are the first of their kind for the UK Parkinson’s Excellence Network, which launched in 2015 with the aim of revolutionising the way health and social care services are delivered to those with this degenerative, neurological condition. It encourages professionals to work together for change, build an expert workforce, influence services and strengthen the voice of people affected.